We have updated our main article about the VES/Delta 1000, incorporating more photos and details on the system. We unveiled it recently at the UFVA Conference (see press release) and it was the hit of the Exhibits Hall ! Our San Fernando Valley (Los Angeles) AVID Liquid Users Group is now forming. The first meeting is scheduled for Wed evening, Oct 3. "As many of you are aware, we have been talking about organizing a local (San Fernando Valley based) users group for Liquid. It is time to do it! I propose a first meeting on Wed, Oct 3, early evening, here at our shop (Equipment Emporium). Email fred@videoeditsystems.com if you are interested in attending, or if you think Wed is a bad nite and we should change it. Based on the responses that I get, I will send out another email confirming this date, or proposing another. At this first meeting, we can come up with some sort of organizational "structure". (Just cause I'm getting the ball rolling, doesn't mean that I have to be the political boss.)" 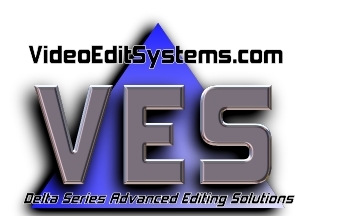 Recent Media Coverage of videoeditsystems.com, a division of Equipment Emporium, Inc.